A half-dozen Catholic families were residing in the village of Watertown in 1830, but the first Mass in Watertown was not celebrated until 1831 in the home of one such family. Then part of the Diocese of New York, which encompassed the entire state, the few Catholic families of Watertown were served intermittently by priests from Utica, Rome and Syracuse. Later, they formed the Catholic Society of Watertown, and began to hold services more regularly in rented space, such as the Beebee Schoolhouse near the Depot behind the Woodruff House. As the faith community grew, a more permanent location was sought. In 1838, Father Michael Gilbride purchased the 10-year-old Baptist Church on Factory Street, where Morrison's Furniture store now stands, for $1,300 and renamed it St. Mary's. The first Mass celebrated on Oct. 29, 1838. Watertown was a mission of St. James Church, Carthage, until it became an independent parish in 1851. Five years later, reflecting ethnic and cultural differences of the growing immigrant population, Irish Catholics began construction of their own church, St. Patrick's, leaving the French-speaking Catholics to worship on Factory Street. They purchased St. Mary's Church and on July 7, 1857, the parish was incorporated. It was served by priests out of Cape Vincent, starting with Father Louis Lapic. In 1872, the Diocese of Ogdensburg was created out of the Diocese of Albany, which had included all of Northern New York. Bishop Edgar P. Wadhams became the first bishop of the new diocese and began seeking priests to minister to Northern New York Catholics and requested the bishop of Montreal, Canada, to send a French-speaking priest to take up permanent residence in Watertown. Father Jean-Baptiste Chappel, MSC, was assigned to St. Mary's Parish in December 1875, marking the beginning of the Missionaries of the Sacred Heart in the United States. Since St. Mary's did not have a rectory, he took up residence at the "vast house" on Thompson Street. Father Chappel also became pastor of St. Mary's Parish in Evans Mills. The following May, Father Joseph Durin, MSC, and two seminarians arrived from France and in June 1876, the Missionaries of the Sacred Heart purchased the "vast house" for $8,000 to establish the oldest MSC community in the New World. It is now the second oldest MSC community in the world outside Issoudon, France, where the order was formed in 1854 by Father Jules Chevalier. The small but energetic MSC community devoted itself to several ambitious projects which continued to serve the parish, Catholics in surrounding communities and the order down through the past 156 years. 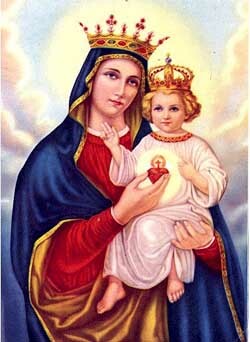 On Dec. 8, 1876, they established the Association of Our Lady of the Sacred Heart to foster devotion to the Blessed Mother through a magazine published by the priests and brothers in Watertown. It was made an Archconfraternity by Pope Pius IX in March 1877, with its headquarters in Watertown until it was moved to the provincial offices in Aurora, 111., in 1987. Also in 1877, the parish organized its first strawberry festival, later called Lawn-Fete, to raise money, which continued until 1935. It was the precursor of today's annual parish festival. In 1878, Father Durin (pastor, 1878-1881) established Our Lady of the Sacred Heart Parish and began construction of a church next to the MSC residence on Thompson Street to replace St. Mary's Church. The first mass was celebrated in the new church on July 28 of that year. Father Durin was also responsible for the start of formal Catholic education in Watertown. He prevailed upon the bishop to permit three Sisters of St. Joseph from Buffalo to open a school in the parish. In January 1881, Father Durin purchased the frame house at 114 West Main St. to serve as Immaculate Heart convent and motherhouse for the Sisters of St. Joseph in Watertown and as a boarding school. In the next few years, the Missionaries of the Sacred Heart would also serve missions in Chaumont, Belleville, Lorraine, LaFargeville, Rosiere, Felts Mills, Redwood and Rutland. In 1903, they began a mission for Italian-Americans on the west side of the city, which later became St. Anthony's Parish. The MSC community in Watertown also began a novitiate to train seminarians and in 1885 Father Benjamin Grom began construction of St. Joseph Apostolic School adjoining the rectory. For the next 20 years, it would train about 20 priests to serve the society that was expanding in the United States and the Province of Quebec, Canada. One of its students, Father Pierre Lesperance was the first American to be ordained a Missionary of the Sacred Heart and served as pastor from 1893 to 1900. The school was closed in 1905, but reopened in 1928 to provide education for seminarians until a new seminary was built in Quebec City in 1960. The Apostolic School became a high school seminary (Sacred Heart Prep Seminary) until it closed in 1976. For almost 30 years, the wooden church on Thompson Street served the new parish until 1906 when Father Stephen Royet began plans for a new church at the corner of Thompson and West Lynde streets. 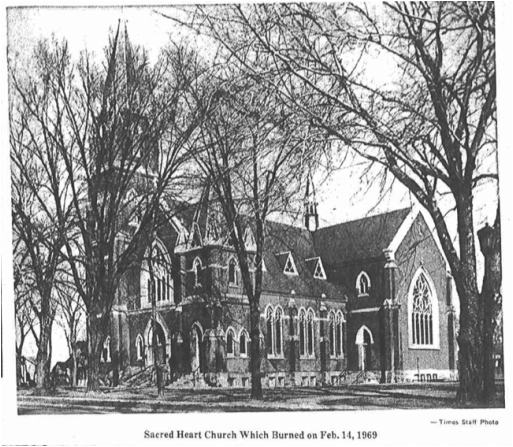 The new church built in Gothic style with its many spires and vaulted ceilings was dedicated on the feast of Our Lady of the Sacred Heart on May 31, 1906. The old church was moved to Davidson Street, where it has served as the location of the North Side Improvement League and later the Odd Fellows Hall. Today it is occupied by the Disabled Persons Action Organization. In 1923. the parish opened Sacred Heart School with six grades, adding one grade each year until it served students through eighth grade in 1925. It was also during this time, under the pastorate of Father Amedee Lacasse that the parish was legally incorporated and became territorial, rather than ethnic, to serve Catholics on the north side of the Black River. With the parish continuing to grow, a kindergarten was opened on Thompson Street in 1950. From the mid-1950s to 1960. during the pastorate of Father J. Arthur Francoeur, several expansions took place to add a cafeteria, gymnasium, classrooms, offices and library to serve students through ninth grade. Tragedy struck the parish the night of Feb. 13, 1969, when fire of unknown origin destroyed the beautiful church on West Lynde Street. Despite being saddened and shocked by their loss, parishioners under the leadership of the pastor Rev. Benoit Dostie quickly set about the task of replacing their place of worship. A building committee was formed and a funding drive organized, including a parish festival which was held in June 1969. It has continued every year since then to bring together parishioners in a spirit of friendship and cooperation for one of the parish's most important yearly events. Nearly 2,000 people attended the dedication of the new church on Nov. 7, 1971. Today the pastor of Our Lady of the Sacred Heart Parish is a member of the Society of the Missionaries of the Sacred Heart. The Society is also represented by two retired Brothers and three Priests who reside at the Missionaries' house on Thompson St. Another Missionary of the Sacred Heart Priest is pastor of the Catholic Community of Cape Vincent, Chaumont, and Rosiere, NY. The Parish of Our Lady of the Sacred Heart and the society of MSC's support the Sacred Heart Foundation of Watertown, a not-for-profit organization headquartered at the Missionaries' residence. The Foundation, founded in 1967 by Fr. Pierre Aubin, MSC, raises funds to provide scholarships to MSC seminarians in the United States and throughout the world. The assets of the Foundation are approaching two million dollars. Through the Missionaries of the Sacred Heart, Our Lady of the Sacred Heart Parish also has special ties to the MSC missions in Papua, New Guinea and Colombia, South America. Father Durin led the first group of MSC priest to Papua New Guinea in 1881. Several MSC priests who have ministered in Watertown have served in the Society's foreign missions. 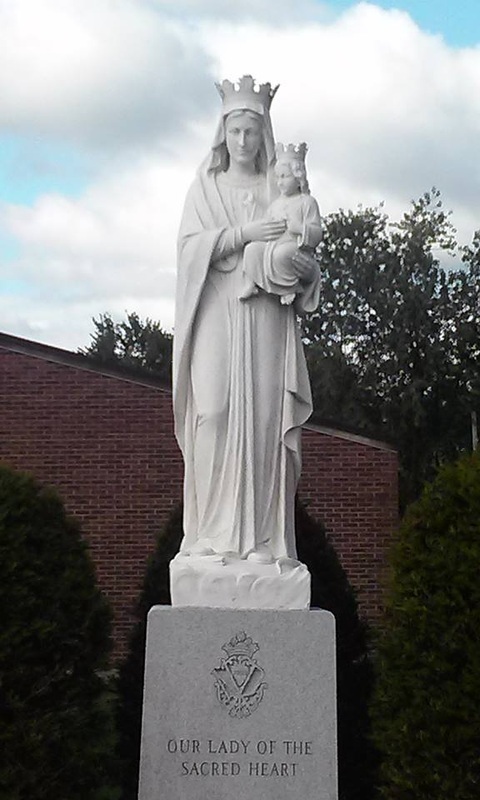 Our Lady of the Sacred Heart Parish presently has an active congregation of 700 households. The parishioners share in the ministerial and sacramental life of the church, in preparing children and adults for the Sacraments, as readers and Communion distributors, as choir members, as members of the Holy Name Society, and in the outreach to the members of the Watertown community.